Our friends got married this weekend, and we couldn't be happier for them. It was a beautiful wedding in Seattle, and simply a blast. 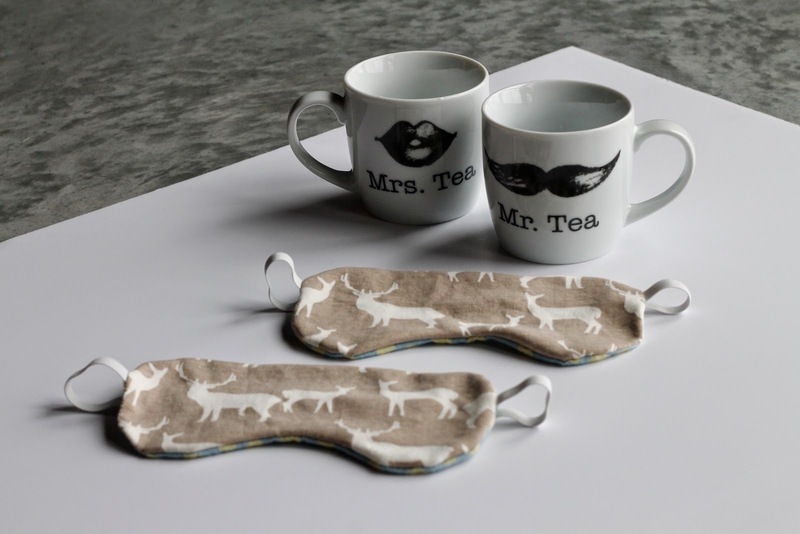 On their gift registry, they specifically encouraged guests to offer handmade gifts, which is an opportunity that I obviously couldn't pass on. Abbie and I met in knitting class, so I decided to opt for a sewing project. 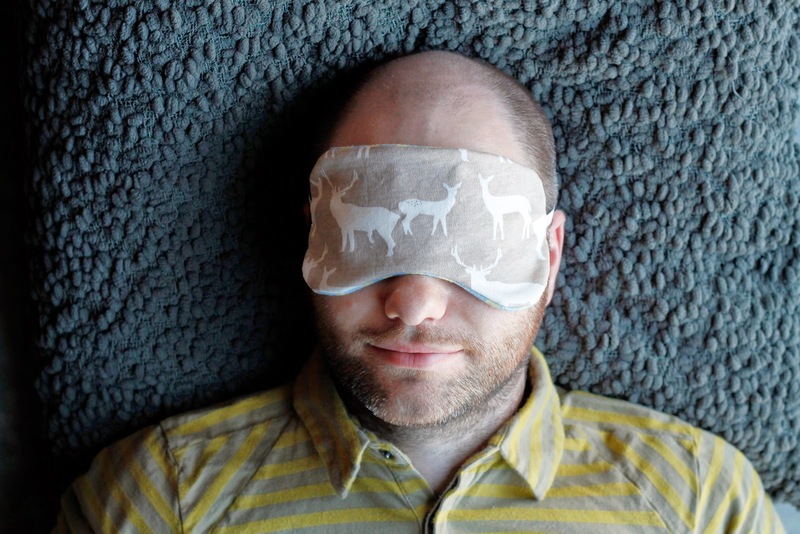 What would the newlyweds mostly need after all the festivities? Probably some rest. At least for the flight on their way to their honeymoon! 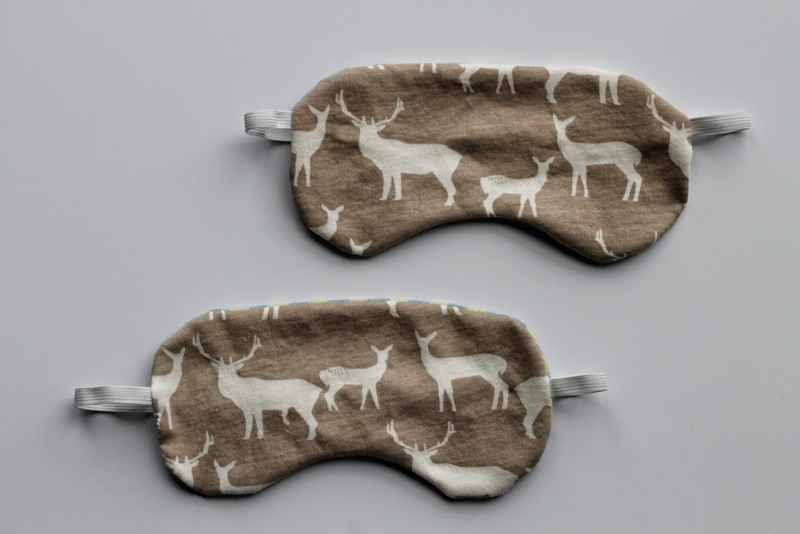 So I decided to make them sleep masks, hoping that they will land in Hawaii well rested, ready to enjoy a well deserved vacation. Last year when we were travelling in China (which happened to be part of our honeymoon! 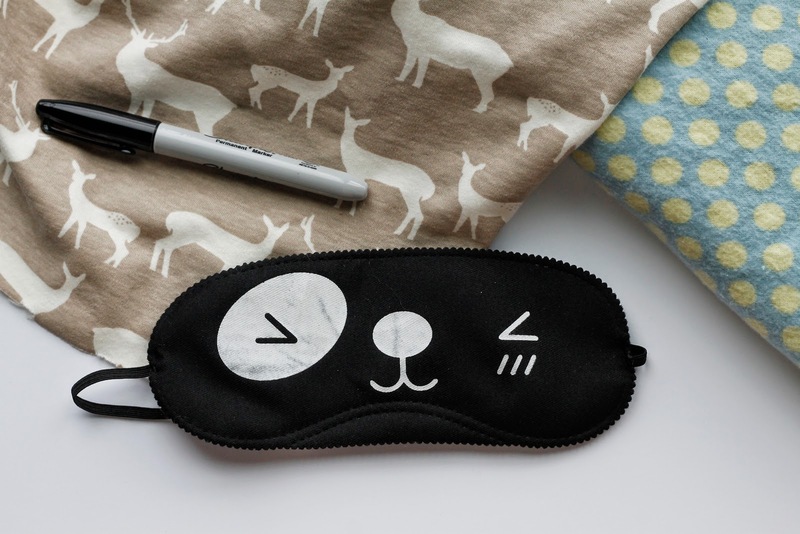 ), I found this cute and super light sleep mask, and I was very excited, especially since it was about 25 cents. Unfortunately, it's not that well made, with the elastic just sewn onto the insides, which makes it about as comfortable as walking in high heels on the beach. I've never been able to wear it for more than 10 seconds. You might wonder than why I still have it, which is indeed a good question. I guess I kept it around to inspire me to make my own new and improved version. Either that or I'm terrible of letting go of things. Who knows. You can download my template here. Fabric. I used fleece and a stretchy cotton blend. You will need 2 pieces of fabric of at least 5x9" each. Elastic band. I used 3/8" width. 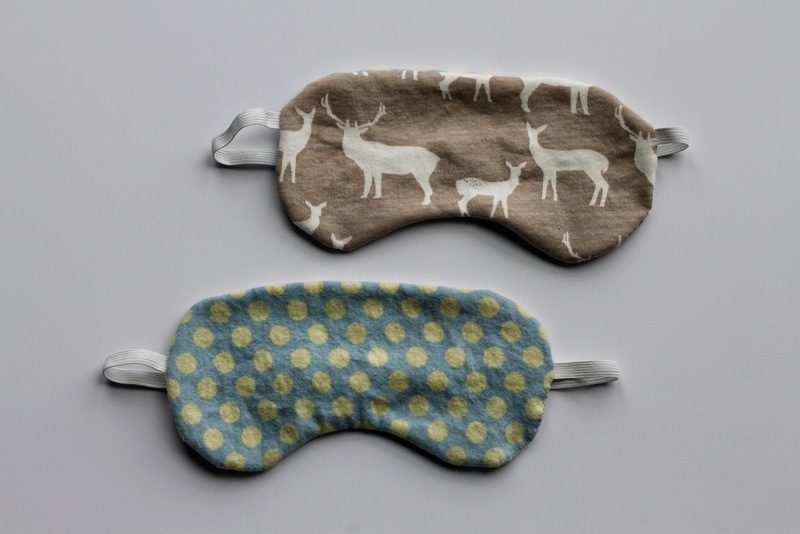 You will need about 14" (unstretched) per sleep mask. If you are making it for yourself, better measure it as head sizes can vary. 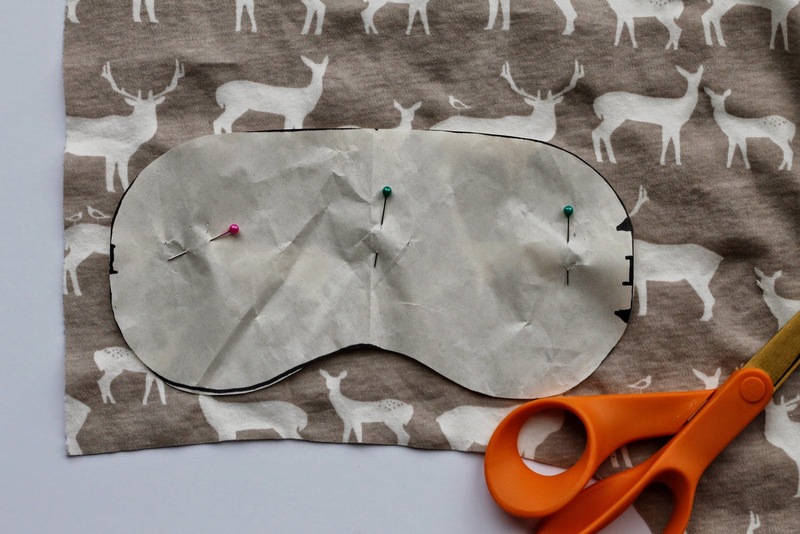 Using the template, cut 2 pieces of fabric. Place the 2 pieces of fabric right sides together, with the elastic band in between the two pieces of fabric. Pin together the 2 pieces of fabric. 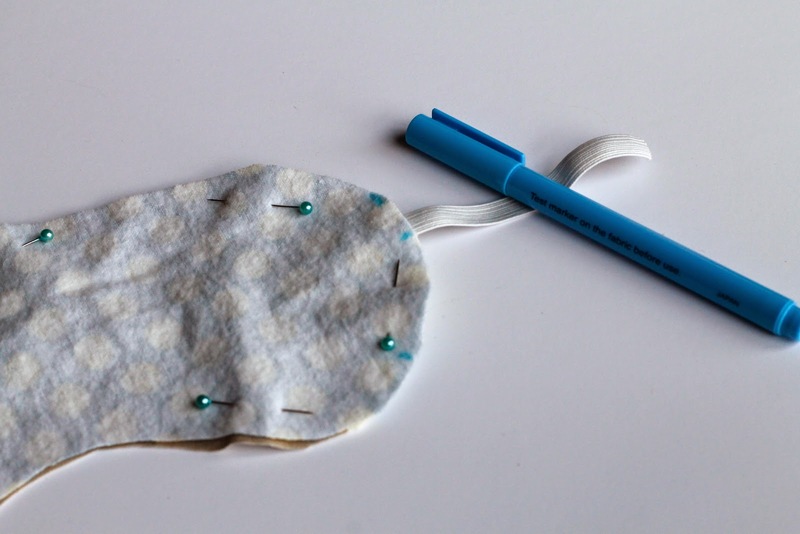 Using a fabric marker, identify where the elastic will go and the opening you will keep to turn the sleep mask outside in. Keeping a 1/4" seam, sew together the fabrics, adding some extra stitches at the elastic to secure it. Because my fabrics were quite stretchy, I found it easier to sew it by hand, but you could easily use the sewing machine if you are more experienced. 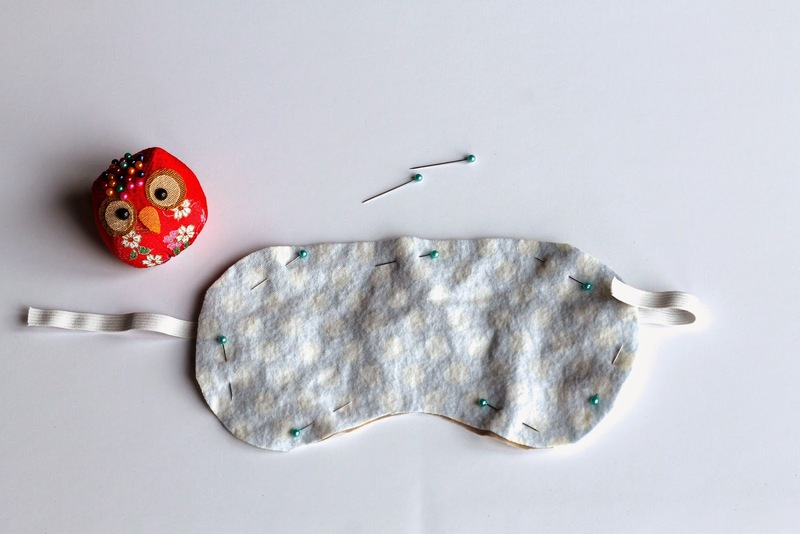 Turn the sleep mask outside in, with the right sides of the fabrics and the elastic now outside, and sew the opening closed. 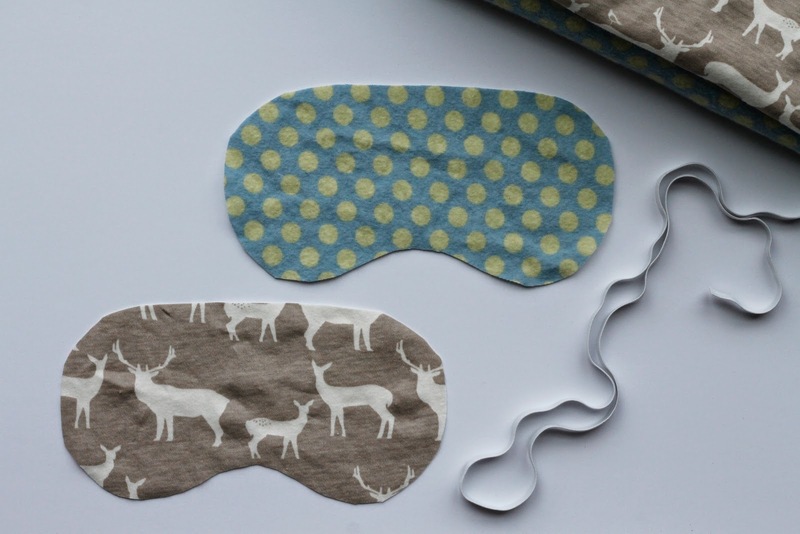 Note: If you would like your sleep mask to be a bit thicker, you could add some light weight interfacing or quilt batting. Voilà! So simple. Little do our friends know, they almost did not receive their gift, as we just left it on the bench of the hotel where we waited for the bus shuttle to the ceremony. Thankfully, some kind and honest person returned it to the reception desk, and we were able to swing by before the reception and pretend that nothing happened. Who ever you are, kind stranger, many thanks to you. To the happy couple I wish you a lifetime of companionship, laughter and happiness as well as a restful flight to Hawaii!